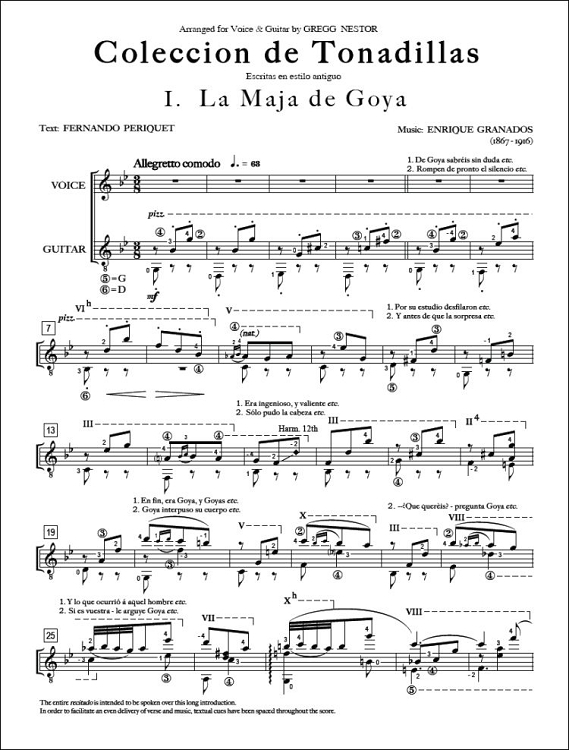 In writing the 12 Tonadillas, (ballad tunes of Castille - in the ancient style) Granados took his inspiration from scenes in the royal tapestries of Madrid created by the acclaimed Spanish painter Francisco de Goya. Each tonada tells a short story about love. All 12 have descriptive titles like; "La maja de Goya", (homage to Goya and his paintings) "El majo discreto", (a girl indifferent to her lovers ugliness, as long as he shows discretion) "El majo olvidado", (wherein a young woman bewails that her lover has forgotten her) and express Granados' views on the heartfelt variety of sorrows and joys one might experience in the throes of love. 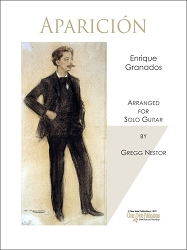 Originally for piano and voice, Coleccion de Tonadillas were written as intermezzos for popular singers who worked in the theaters of Madrid at the beginning of the nineteenth century. In these idiomatic arrangements made by veteran guitarist Gregg Nestor, piano accompaniment is replaced by guitar. 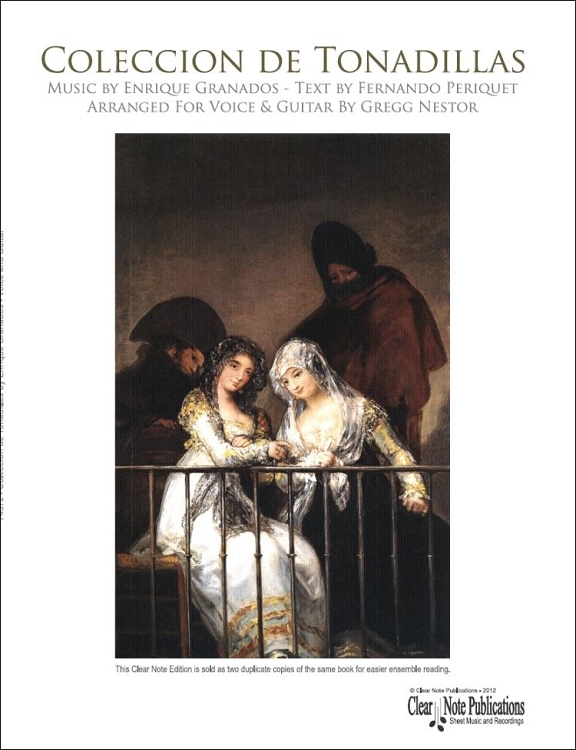 To fully complete the edition Nestor has also included the optional narrative text that can be recited (by singer or narrator) during the first 72 bars of La maja de Goya. The narrative (recitativo) has been placed both in the score and on the translation pages to guide the narrator through the music. Composer Enrique Granados, along with Isaac Albéniz, brought modern Spanish music into the home of the avid music lover. 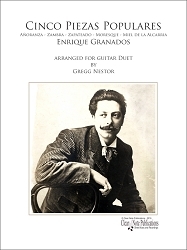 Most of Granados' works are for piano solo, and through them he created a unique style of writing for the [then] modern school of Spanish keyboard music. Many of his works have been successfully arranged for guitar and are among the all time audience favorites in the instrument's literature. Coleccion de Tonadillas make up an exceptional performance set that is rich in that Spanish tradition and style and are a welcome addition to any recital stage or recording.